While small business success can be the result of many different actions and decisions, at SCORE, we think one thing is essential: volunteers. In April, we celebrate National Volunteer Month to recognize the dedication of volunteers in all varieties of service, whatever their reason for participating. We celebrate our SCORE volunteers all year long. Every single SCORE mentor is a volunteer! More than 10,000 volunteers with 300 SCORE chapters across the United States work one-on-one with local and aspiring business owners either in-person, through email or via video chat. In fiscal year 2018, SCORE volunteers donated 4.3 million hours to mentoring clients, planning and teaching workshops, and running their local chapters. Together, these volunteers served more than 138,000 clients and more than 250,000 workshop attendees! Whether SCORE volunteers host meetings with clients, teach workshops or keep their chapters organized, they all support opportunities for individual business owners to learn and grow. In 2018, SCORE mentors helped create more than 32,000 businesses! At the same time, our volunteer mentors find benefits for themselves, from sharing their expertise, to building connections within their local communities. 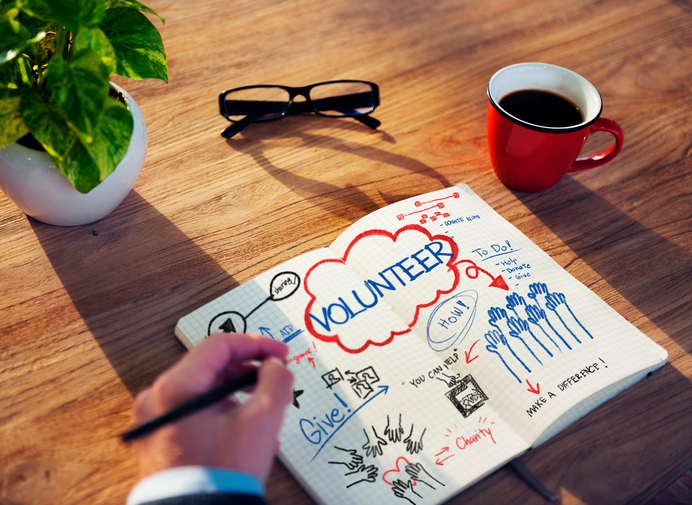 Many volunteers refine their leadership skills by guiding their chapters or districts. Mentor Hal Shelton even found a new career through mentoring — as a published author. After guiding hundreds of new entrepreneurs in the Washington, D.C. area through the business planning process, he wrote a book to guide aspiring business owners regardless of location. What does it take to be a SCORE mentor? A willingness to help, experience to share, and enthusiasm for small business and entrepreneurship are key. Volunteer mentors receive continuing training in the spirit of lifelong learning. If you don't want to mentor but share SCORE's vision, we have multiple volunteer opportunities. And if you’re a SCORE client, we welcome you to become a mentor too. In fact, about 12 percent of our newest volunteers were once SCORE clients themselves. “When you get an opportunity to change the trajectory of someone’s life by providing resources and skills and tools that can help them build something successful such as a business, for me it’s exciting to be a part of that,” Nakia Melecio, a mentor from Atlanta, said of his experience as a volunteer mentor. Think being a SCORE mentor is the right volunteer opportunity for you? Register to volunteer today.